Top 11 Best Cross Platform Mobile App Development Tools For Enterprises In 2018 – It is a very tough question for a mobile app developer that never really gets answered … should I develop for Android or iOS? There is no easy choice between the two as both the platforms are excellent for similar and different reasons. Over the past few years, more than 75% of the world’s population has shifted their needs and luxuries to Android and iPhone, which has indeed driven the interests of most businesses to provide services and products through personalized mobile apps. Write Once Run Anywhere (WORA) refers to a piece of code that’s written once on one platform but can run on multiple platforms. As the number of mobile platforms increase, developers are finding it harder to provide their app in consumable form as users may be on very different platforms. Here is the list of Top 11 Best Cross Platform Mobile App Development Tools that you can choose to run an app-based business. React Native gracefully handles multiple platforms. The vast majority of the React Native APIs are cross-platform, so you just need to write one React Native component, and it will work seamlessly on both iOS and Android. Facebook claims that their Ad Manager application has 87% code reuse across the two platforms, and I wrote a flashcard app without any platform-specific code at all. React Native is just React, but for mobile. There are some differences: you’ll use a <View> component rather than a <div>, and an <Image> instead of an <img> tag. 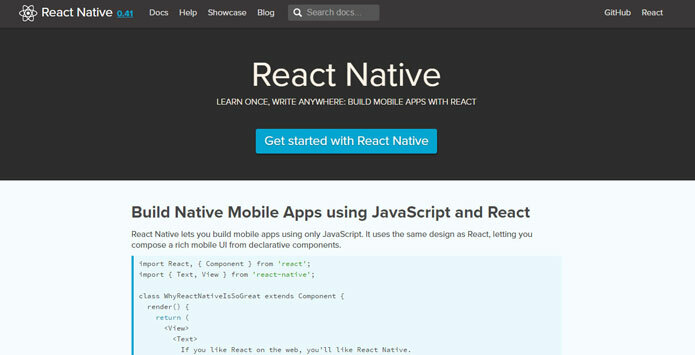 Thousands of apps are using React Native, from established Fortune 500 companies to hot new startups. Xamarin is another cross-platform development tool that lets developers build native iOS, Android, and Windows apps, using a single shared C# codebase. With Xamarin, you can do anything in C# that you can do in Objective-C, Swift or Java unlike what is commonly believed. It lets you use the same IDE, language, and APIs everywhere. Moreover, Git integration is built directly into the Xamarin Studio. Apps developed with the platform can be tested on hundreds of devices through the company’s cloud service. 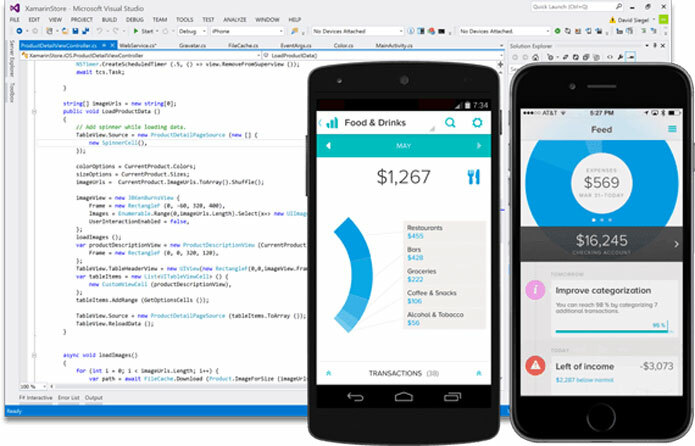 Xamarin offers its own interface development tool and online classes through its Xamarin University program. Recently Xamarin entered into partnership contracts with IBM, Xoriant and Microsoft. The Appcelerator environment is open and extensible and can produce apps for iOS, Android, and BlackBerry, as well as HTML5 and hybrid apps. Sencha is another popular tool amongst the app developers, especially for cross-platform app development. The program of Sencha has multiple cross platform app development programs like Sencha Architect, Sencha IDE Plugins, and few others. However, in spite of its wide range of tools, Sencha Ext JS 6 is one of the best and popular tools amongst the cross platform app developers. With the presence of pre-built components, Sencha offers speedy delivery by saving the development time of coding professionals. Sencha allows the developer to develop the code in HTML5 format. Once a code is made or converted to HTML5 format it is very simple and quick to use them to both iOS and Android. One just needs to translate the code using another tool like PhoneGap. Flutter is Google’s free and open source mobile UI framework for crafting high-quality native interfaces on iOS and Android in record time. Flutter is used by developers and organizations around the world. Flutter framework makes it easy for you to build user interfaces that react smoothly in your app, while reducing the amount of code required to synchronize and update your app’s view. Flutter’s hot reload helps you quickly and easily experiment, build UIs, add features, and fix bugs faster. Experience sub-second reload times, without losing state, on emulators, simulators, and hardware for iOS and Android. Adobe’s cross-platform development offerings include PhoneGap Build, which is based in the cloud, and PhoneGap, an open source solution. PhoneGap is based on Apache Cordova. PhoneGap is a great option for building cross platform mobile apps leveraging on existing web technologies. PhoneGap is best suited for mobile applications that don’t make substantial use of the phone’s native features. Apart from being a free tool another advantage of PhoneGap is that they maintain software development kits for each of the platform created by app developers. One of the biggest benefits provided by PhoneGap is a variety of plugins to choose from- allowing the programmers to utilize their web skills. It further enables developers to create Android and iOS apps supporting the respective platforms in the cloud without the need of local SDKs (Software Development Kits). Thus, a non-Mac user can develop iOS-based applications using Apache PhoneGap. Phonegap’s maker Nitobi is acquired by adobe and it is now a part of apache software foundation. Corona offers SDK to build game apps for iOS and Android devices seamlessly, with few lines of code you can make game apps up and running.The framework is supported by HTML and Lua programming language. It depends on the situation & Time whether you need to go for native programming or cross-platform framework. 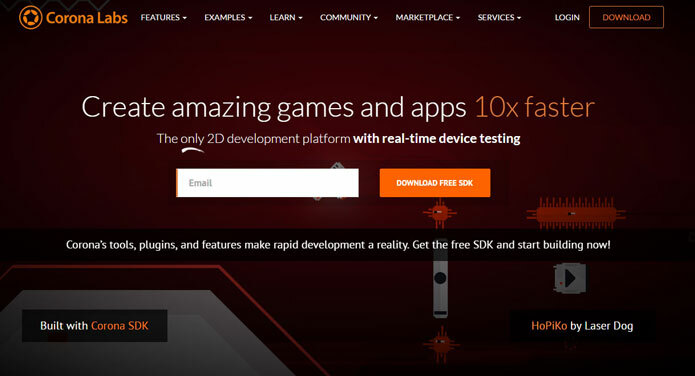 It is a cross-platform mobile App development tool that’s optimized for 2D gaming graphics and helps you make games 10 times faster than it would take to code everything from scratch. The code is written using a robust programming language named Lua (based on C), making it a cross-platform language. Corona chose Lua because they found it to be really robust with a small footprint for mobile apps. This cross-platform mobile development tool goes beyond simple translation. After developing your code in UnityScript, C#, or Boo, you can export your games to 17 different platforms, including iOS, Android, Windows, Web, Playstation, Xbox, Wii, and Linux. 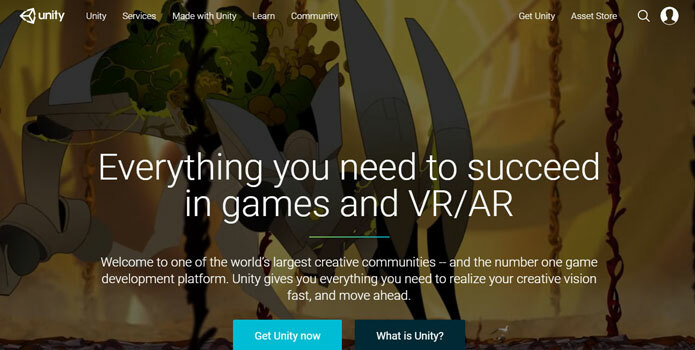 Once you’ve got your game on all your chosen platforms, Unity will even help you distribute it to the appropriate stores, get social shares, and track user analytics. Monocross is an open source cross-platform mobile framework using C# .NET and the Mono framework. Developers can retain the coding of application, controller, and model across different platforms while playing with the platform container and the view, that is, user-interface, to deliver a native experience across all key platforms. Xojo positions itself on offering a simple way to create cross-platform apps, not just for mobile platforms such as Android and iOS, but also desktop apps for Windows, Linux, and OS X, and for Raspberry Pi as well. 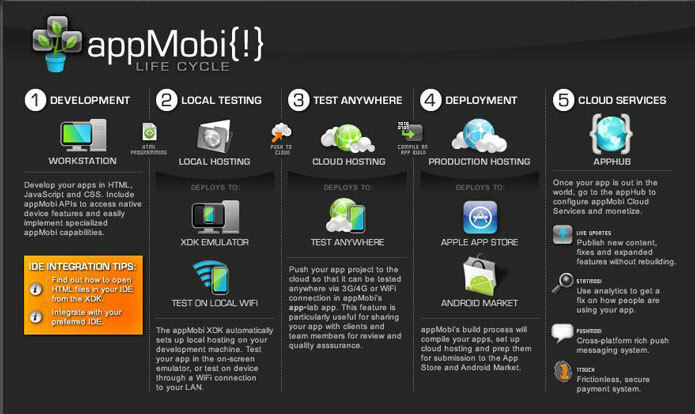 The Xojo development tool allows developers to create a single code base and compiles the developed apps as native executables for the required platform. The powerful code editor and an intuitive drag and drop option make the task of developing apps very easy. The Xojo backend does all the work, and infuse the new apps with controls familiar to the platform, giving it the look and feel of an app developed on the native platform. Great information. Since last week, I am gathering details about cross platforms experience. There are some amazing details on your blog which I didn’t know. Thanks. We love to hear this from you. Follow us on our social channel for the latest trends. Thank you for sharing valuable information. Working with cross-platform tools for a developer is very essential to increase the productivity. It is easier to handle multiple platforms with the same tool without the hurdles of working with too many applications. Thank you for sharing the information about cross platforms mobile app development tools trending in 2018.